When I was on assignment in India for National Geographic Traveller to photograph wild tigers, I experienced first hand that they're really difficult to find. One reason is obviously the dense habitat, but more importantly: it's an endangered species. There are currently more tigers living in captivity than in the wild, and poaching is one of the main reasons. In 2000 John Varty started an ex-situ tiger conservation project in Africa, and that is where this photograph was taken. Free roaming tigers that can hunt for themselves in an area safe from poachers and far away from villages. 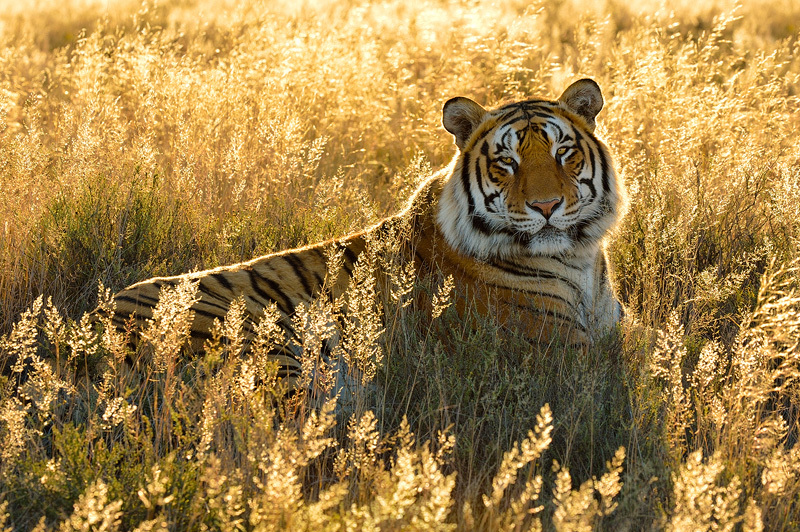 It is currently the most successful tiger conservation project in the world.